As a prosecutor, I really admired him. My husband and I used to wish he’d run for Senate or President. I imagine he once wished that, too. We even tuned in to his little show(s) on CNN, in spite of his rather Spitzery attitude toward Kathleen Parker. He tried (I guess). Ah well. He’s been writing for Slate. Here’s his latest: Mitt Romney and the debates: The five questions he must answer. 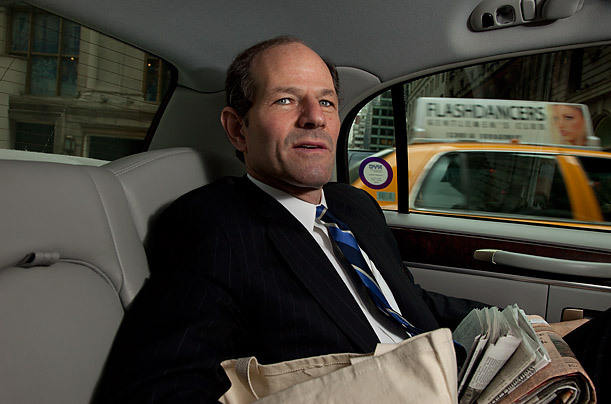 I wish Mr. Spitzer were moderating a debate or three. I’d still, years later, like to see a comeback from his rocky, steep, and mortifying fall from grace, and not as an elected official or television personality, but as a person who was really remarkable at uncovering the truth.